We need the light for taking our pictures, but it can really work against us when it's time to review them on the camera's LCD. Hoodman to the rescue with the HoodLoupe 3.0 Professional ($79.99). Hoodman HoodLoupe 3.0 Professional comes with a quick release neck strap and case with belt loop. Works on cameras with 3" LCD screens and smaller. I must admit, I felt a bit like a big time Hollywood director when working with the HoodLoupe around my neck. It has a +/- 3 diopter adjustment for precision viewing. The hard rubber hood feels durable, yet won't scratch the back of your camera. I've used it on my Canon DSLRs, Olympus PENs, and even the new Olympus XZ-1. Here's a brief into video about it. If you want to use the HoodLoupe for LiveView video recording, there are accessories for attaching to your camera. 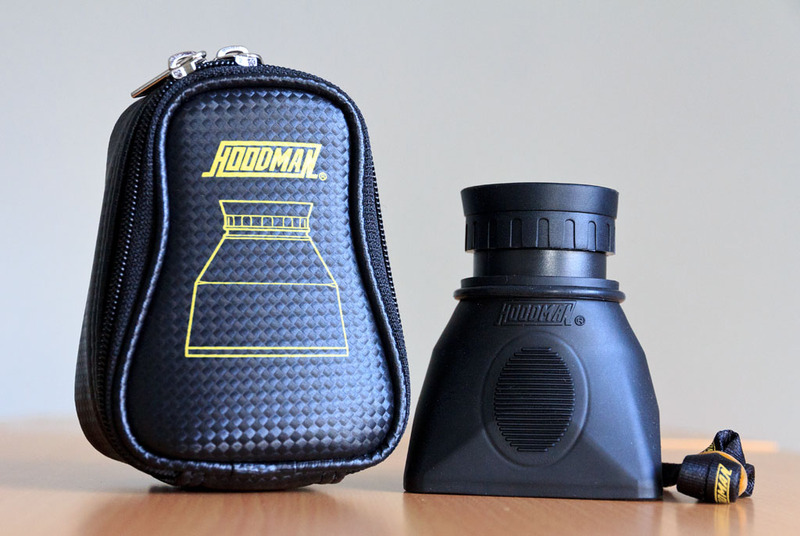 You can order the Hoodman HoodLoupe 3.0 Profession from the good folks at Hunt's Photo & Video.